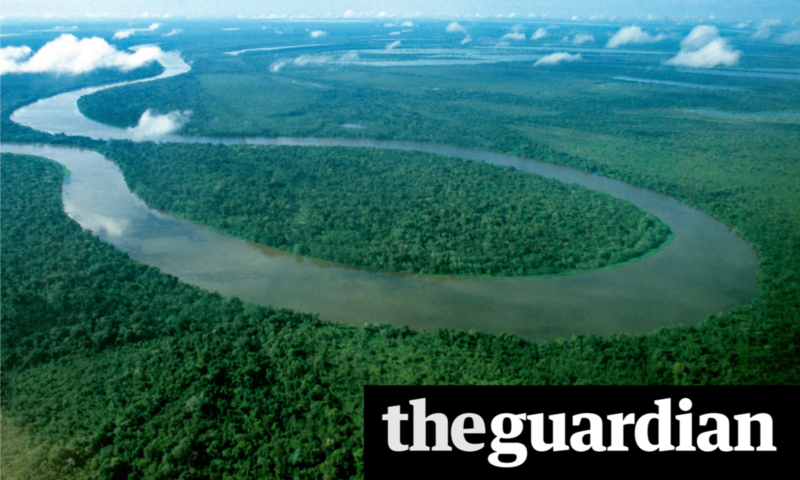 The boss of Shell has said a huge tree-planting project the size of the Amazon rainforest would be needed to meet a tougher global warming target, as he argued more renewable energy alone would not be enough. Ben van Beurden said it would be a major challenge to limit temperature rises to 1.5C (equivalent to a rise of 2.7F), which a landmark report from the UN’s climate science panel has said will be necessary to avoid dangerous warming. “You can get to 1.5C, but not by just by pulling the same levers a little bit harder, because they are being pulled roughly as fast and as hard as we are currently imagining. What we think can be done is massive reforestation. Think of another Brazil in terms of rainforest: you can get to 1.5C,” he told an oil and gas industry audience in London. Reforestation is seen as essential in the scenarios outlined this week by the UN’s intergovernmental panel on climate change, if the world is to restrict warming to 1.5C. But Van Beurden stressed that meeting the challenge would be an uphill battle, because while it was “technically about doable”, it would not be commercially viable without changes to government policies and regulation. “Already to get to less than 2C will be [a] quite unimaginable, unprecedented scale of collaboration. Getting to 1.5C is a major challenge on top of it,” he said. But the Shell chief executive was adamant that gas, which makes up a growing share of the firm’s portfolio, would have have a role to play in a 1.5C world.